Tried to search "how much mortgage afford" in Google but cannot find a good mortgage affordability calculator to show you "how much i can borrow"? If you want to work out "how much mortgage can i borrow", you should download this FREE mortgage qualification calculator. This borrowing power calculator will show you how much mortgage you can borrow based on the income and expenses entered. Default values are also provided as examples. 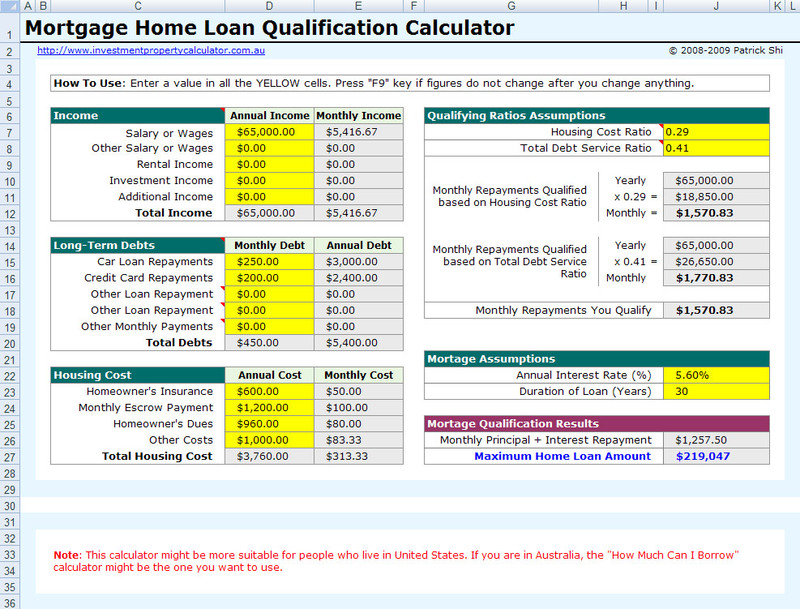 You can use this calculator to determine your mortgage prequalification so you know what your home loan pre approval will be. It will help you to find a home that you can afford. 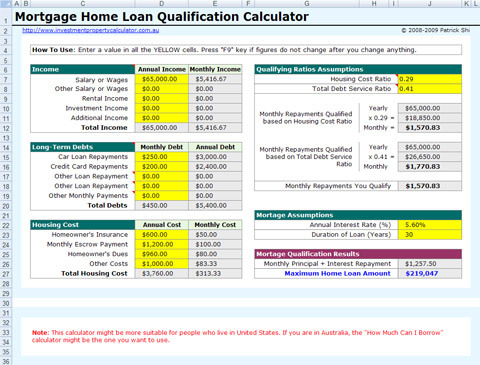 There are some other useful mortgage home loan related calculators, such as the Free Home Loan Mortgage Amortization Calculator, the Free Mortgage Home Loan Refinance Calculator, and the Free Mortgage Home Loan Repayments Calculator. 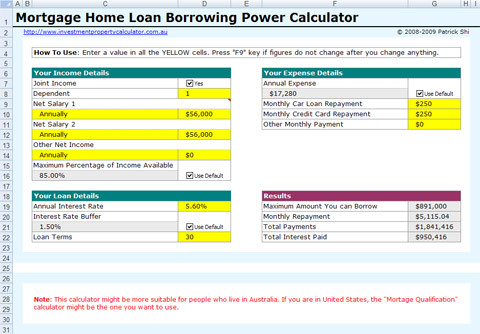 Here is a screen shot that will give you a better idea that what you need to do and what this Free Mortgage How Much Can I Borrow Calculator can tell you. Download FREE Mortgage How Much Can I Borrow Calculator Now!